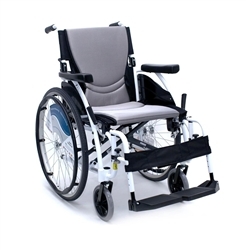 Contracture footrest system - Seat-to-floor heights for more adjustability. Back angle adjustment relocated from under the seat rail to behind the back cane. Copyright © 2014 www.wheelchairauthority.com. All Rights Reserved. Built with Volusion.